Introducing the Mobile Man from Eagle Equipment. 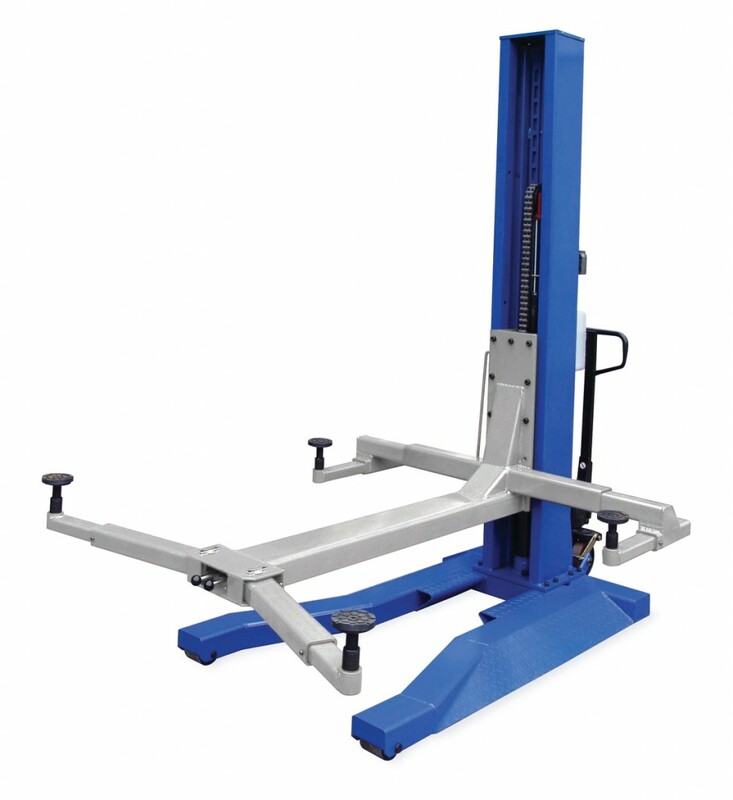 Mobile lift uses “pallet jack” style hydraulics to raise lift onto wheels. Rolls right under vehicle or use the unique drive over design to easily position lifting points. Chain over design uses a 3″x36″ cylinder and 846 leaf chain.